Student volunteers running Rotman on Inclusion (ROI) during 2018-2019. Top row: Litesh Pahuja, Manali Paradkar, Harshad Bhujbal, Amanda Wong, Mohammad Chaudry. Bottom row: Jesús Amundaraín, Ramzi Beyh, Oriana Mambie, and Susan Lee (OSE). 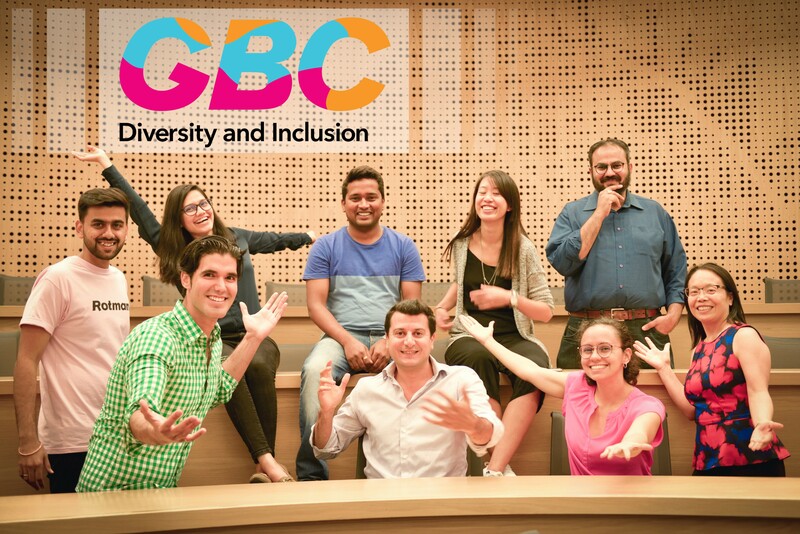 The vision of Diversity and Inclusion is to enhance an open, safe and inclusive environment where each member of the Rotman community can feel pride in diversity; and to promote an inclusive culture by empowering Rotman students through education, community building and outreach. If you have any questions, please feel free to reach out to our Diversity and Inclusion Director, Jesús Amundaraín.